United Nations, 26 September 2017 – H.E. 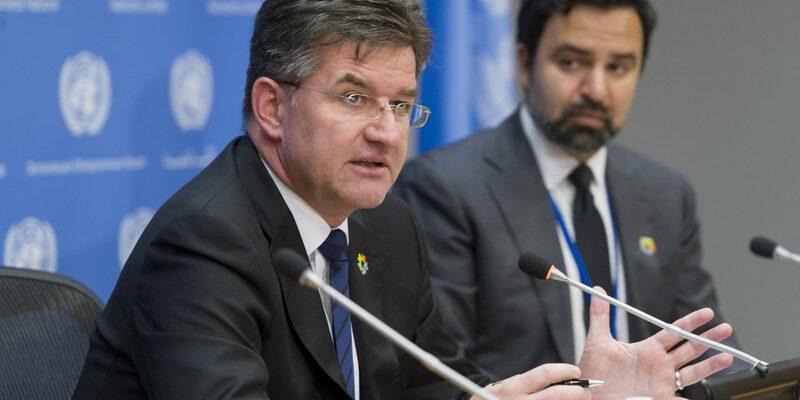 Mr. Miroslav Lajčák, the President of the General Assembly of the United Nations announced that he has formed a new Team of External Advisors. Their role will be to advise him on how best to advance his priorities for the General Assembly’s 72nd session. Those priorities include mediation, conflict prevention and sustaining peace; migration; implementation of the Sustainable Development Goals and Paris Agreement on climate change; human rights and human dignity; and the future and reform of the United Nations. The first meeting of the Team of External Advisors will take place in New York on 6 October. It will include a discussion on a wide range of global political issues, impressions of the General Assembly’s recently concluded high-level week, the messages emanating from the General Debate and principal international challenges ahead. The list presently consists of 15 eminent personalities from all United Nations regional groups. As responses are still expected from some esteemed personalities, the list is not final and may be expanded at a later date.